In a bowl, mix the lettuce, garlic powder, olive oil and vinegar. In a small pan coated with Pam on medium-low heat, cook the tempeh until warm. Take the tempeh out and coat with the BBQ sauce (save a little for later to drizzle on the salad). Add the beans and sweet potato and heat until warm. 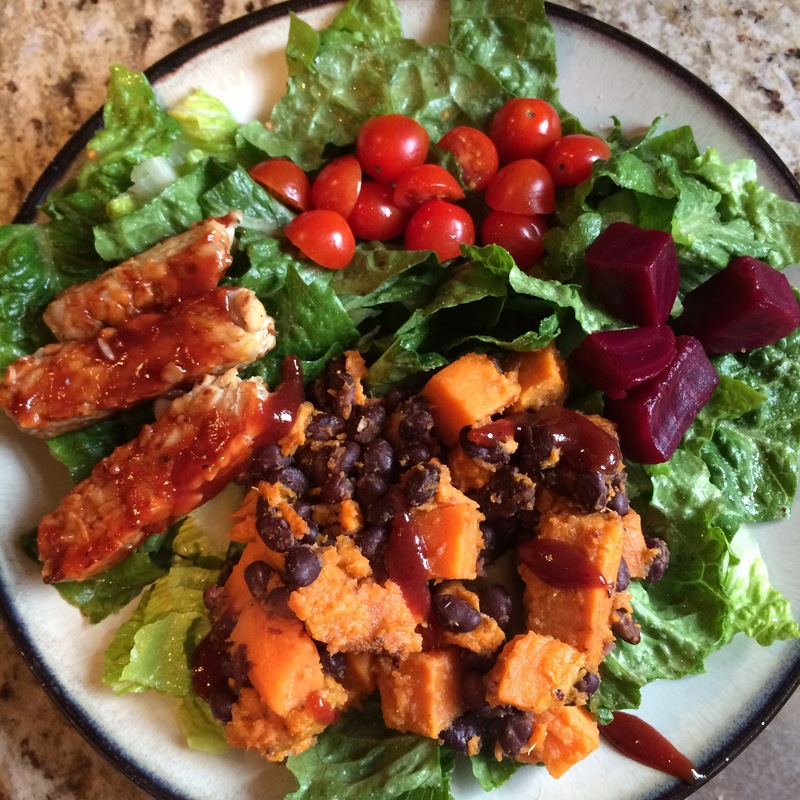 Place the salad on the plate and top with the tomatoes, beets, tempeh, black beans and sweet potatoes. Drizzle with BBQ sauce and enjoy! Pingback: Beet salad with cheese and walnuts - Cook It Easy! Reblogged this on Glow Healthy.